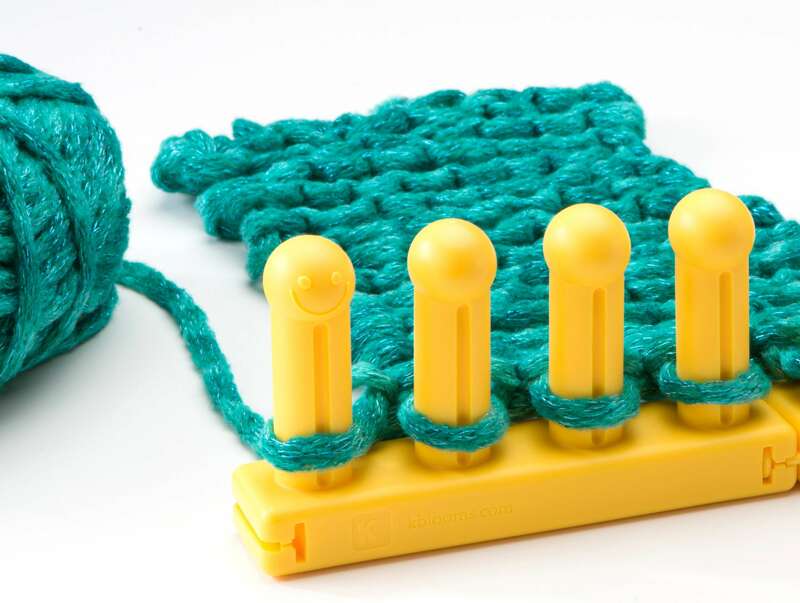 This is a truly lovely and eye catching design for you to create on your looms! 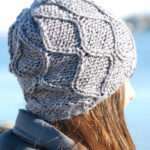 I love the accentuated woven look it provides. My hubby is one who doesn’t usually pay particular attention to the subtleties of my various knitting stitches, but when I showed him this one, he was immediately pleased with the look and said, “Now that’s an interesting stitch!” 🙂 Even though this stitch is a 16 row repeat, once you get the hang of how the rows flow, they can be worked entirely from memory. Yarn: approx. 75 yards Worsted Weight (Sample uses Berroco Vintage mellow) *Note: It really helps to use a yarn with a very high wool content for thoroughly blocking this square to help straighten those long strands. It really helps to use a yarn with a very high wool content for thoroughly blocking this square to help straighten those long strands. A SWYF in the pattern denotes that this peg will not be worked, but will have the working yarn (WY) carried to the front of the work. To do this, simply remove the loop already on the peg, slip the WY in front of the work and behind the peg, then replace the held loop back onto the peg. 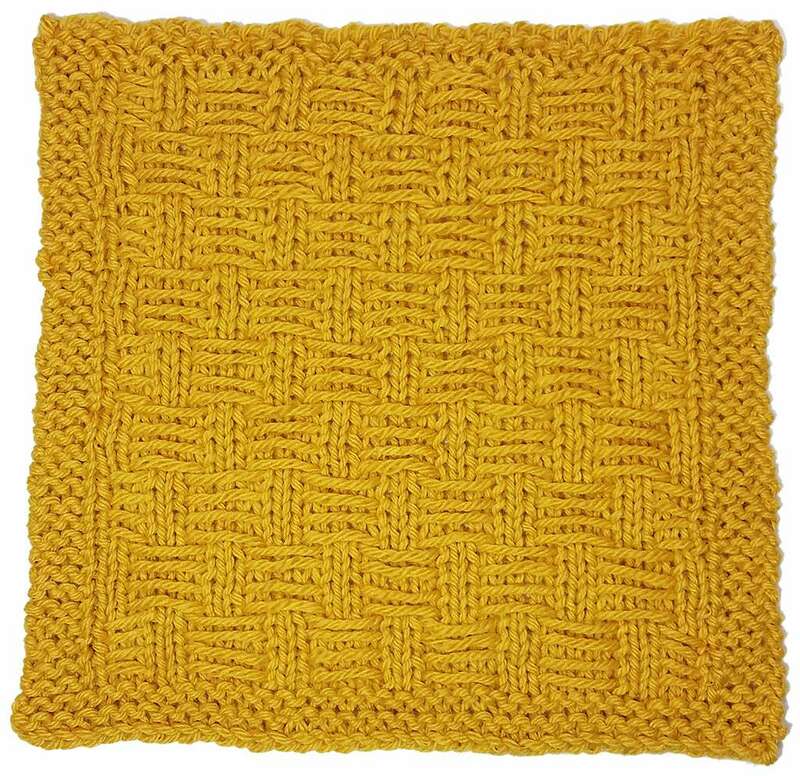 This stitch pattern will do this in groups of four stitches at a time. 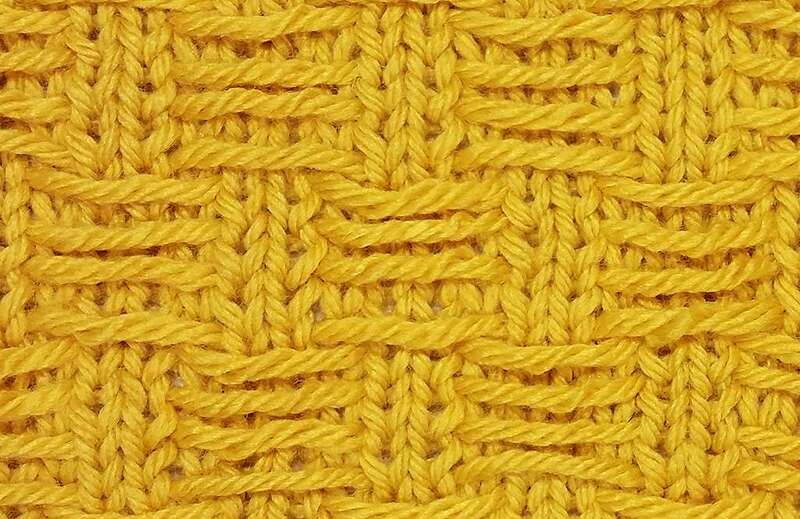 *SWYF Notes: Because this stitch requires slipping 4 pegs at a time, make sure to pull slipped strands taut when knitting the next stitch after the slipped stitches. This will keep the strands from sagging after the square is complete and blocked. Another easy way to work a SWYF is to begin to work a purl stitch, but instead of lifting the original loop off the peg and placing the new loop on the peg as you do when purling, simply KO the new loop, leaving the original one in place. Pull gently to free the WY, which will now be between the peg and the front of the work. Rows 1 & all odd numbered rows: k6. Rows 2, 4, 6, & 8: SWYF-2, k2, SWYF-2. Rows 10, 12, 14, & 16: k1, SWYF-4, k1. Row 4 (and all even rows): k38. 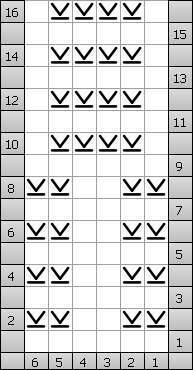 Rows 5, 7, 9, & 11: p3, k1, SWYF-2, k2, *SWYF-4, k2, repeat from * to last 6 sts, SWYF-2, k1, p3. Rows 13, 15, 17, & 19: p3, k2, *SWYF-4, k2, repeat from * to last 3 sts, p3. 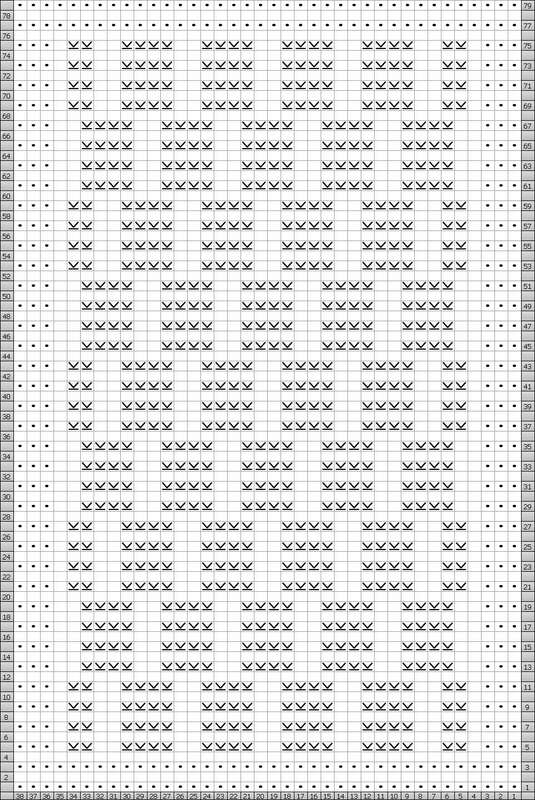 Rows 20-76: repeat Rows 4-19. Block well to an 8” x 8” measurement. It helps to squish the square in hot water for a bit, then soak thoroughly. This will help tighten those long strands. Hi Ginny 🙂 Welcome to the wonderful world of Loom Knitting! I know you’ll get years of enjoyment from this craft. In answer to your question, if you go to this link for the Bunnies on Parade Stitch, Stitchology 21, you’ll find a tutorial video included. In this video, the first technique shown is the one for a s2wyif, which is really the same as a SWYF-2. Just follow the first steps, without wrapping the working yarn back behind the pegs a second time to p2. This is for the bunny stitch only. 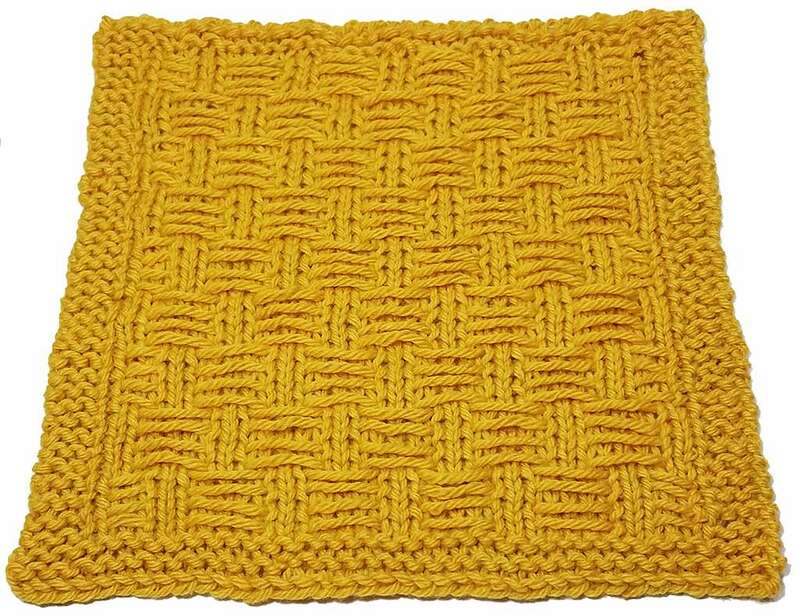 😉 For the Stranded Basketweave, you would actually continue with 2 more SWYF so that you you have a total of 4 slipped stitches. 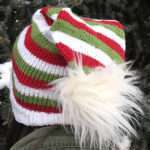 Then on the following knit stitch, pull that trailing strand very taut, so that it won’t want to sag. This should get you going…it’s really super simple to do! 🙂 Please feel free to let me know if I can be of any additional help. is there a way to make this pattern come out more like the needle version? I have noticed that patterns with slip stitches create very large floats when loomed, whereas the floats in the needle version look a lot shorter. I think the “long floats” created by swyf on a loom is supposed to look this way. If you still don’t like the look of the long strands, you could work the same idea with only slipping 3 pegs. This will keep them shorter, with less chance of them being too loose. Of course, the pattern will have to reworked to account for the adjusted peg number in use. Bethany, I have actually noticed the same thing as Sara. 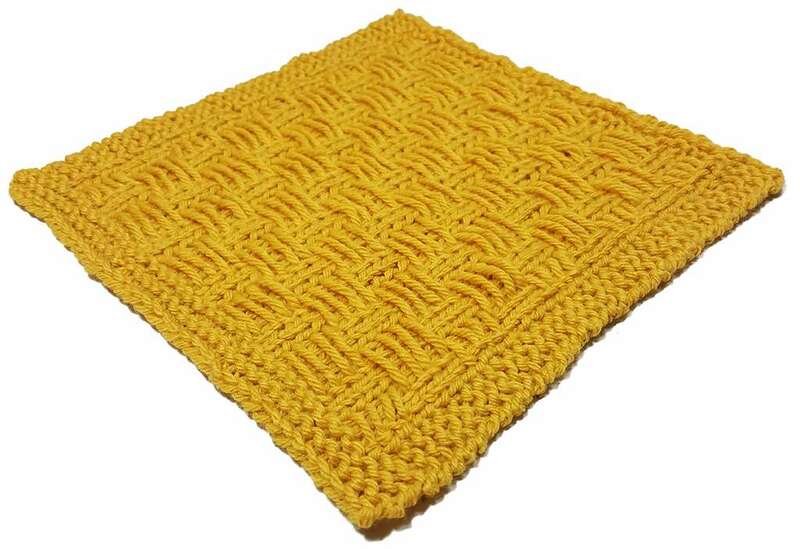 Your pattern “Triple Rib Square”(http://blog.knittingboard.com/archives/4881) looks quite different than if it was knitted on needles(http://www.knitca.com/slipstitch14). I think it must just be due to the pegs stretching the stitches so much.